To say that the excitement at the booktrail today is high is an understatement. For this morning we had brunch with the lovely Ann Morgan of Reading the World fame. 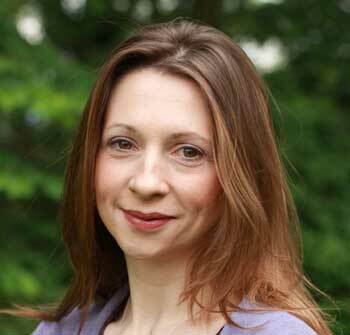 She is the inspiring lady who set herself the task of reading a book from 196 countries. Imagine the TBR pile! Some countries didn’t have many English language texts available but Ann set herself another challenge of finding them and find them she did. She reached every single one of her destinations and read herself around the world. How inspiring is that? What a literary traveller and what a booktrailer! Reading the world? 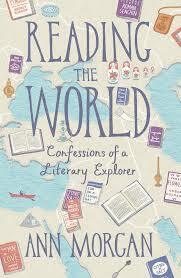 Literary explorers? Yes please! The Olympics of 2012 was one of the inspirations to read books from several countries. You chose the UN recognised states plus Taiwan – 196 countries in all. WOW! What was the hardest book to track down? Because there aren’t books from every country on the shelves of any bookshop, I often had to rely on unpublished translations sent to me by authors or translators. When it came to the Portuguese-speaking nation of Sao Tome & Principe, I exhausted every option I could think of – I emailed students on gap years, doctors on placements there, charities working in the region and everyone said that they didn’t know of a Santomean book available in English. In the end, the only way I could think of to get hold of a book I could read was to ask volunteers to help me by translating a short-story collection specially. Amazingly, lots of strangers around the world replied, offering their services and, within six weeks, I had the entire collection to read. Your project of reading the world is really inspirational. What do you hope that people take away from your book and inspire them to do in their own reading? Thanks. I hope it inspires people to venture further in their reading and not to be scared about not knowing enough or being cultured enough to tackle books from far-flung places. It’s easy to feel intimidated by books that are different to what you’re used to and to feel that you are not knowledgeable enough to read them but the truth is there is no such thing as a world-literature expert. With thousands of books published each day, it’s impossible for one person to keep up with everything that’s out there. Even the most well-read person will only ever get through a fraction of a percentage of what’s available. That can feel daunting, but it’s exciting too. Which of the countries would you now like to go to having been there via a book? I’d be happy to go anywhere. But one of the places I really liked the sound of was Bhutan. 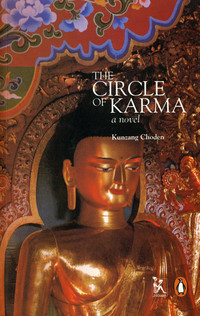 I read Kunzang Choden’s ‘The Circle of Karma’ about a female Buddhist’s mental and physical pilgrimage to find peace and enlightenment. The country sounded beautiful, set high in the Himalayas, and I have since learned that it is often rated one of the happiest nations on earth, which is intriguing. 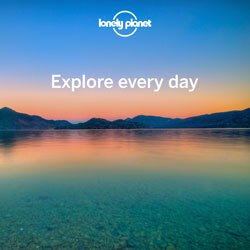 Have you travelled somewhere purely because of a book you’ve read? No. For me the link between reading and travelling isn’t straightforward. Quite a few of the books I read were not set in the countries in question. British writers write about other places all the time, so I didn’t see why I should expect the authors I read to stick to stories set in their own nations. For me, the quest was about discovery, accessing voices and exploring mindsets and ideas rather than building up a picture of the physical world. I don’t think one book (or even several books) can stand for a place. Each story is a partial, subjective account. You get very different things from actually going somewhere. During your journey – who did you meet that inspired you in particular and why? I met a lot of very inspiring people – both virtually and face to face. One person whose kindness I will always remember is a woman called Rafidah who left a comment on my blog shortly after I launched my appeal asking people to help me by suggesting what I should read from different parts of the world. She lived in Kuala Lumpur and instead of simply making a a suggestion, she offered to go to her local English-language bookshop, choose my Malaysian book and post it to me. It was such a kind thing to do for a stranger more than 6,000 miles away that it really inspired me to embrace the project and give it my very best efforts. In fact Rafidah’s kindness proved to be the pattern throughout the year: time and again people I didn’t know did research for me, sent me unpublished translations of books that I wouldn’t have been able to read otherwise and even, in the case of the world’s newest country, South Sudan, wrote me something to read. Why is reading translated fiction important to you? Sad that only around 3% of books are translated fiction. Do you think it puts people off for some reason? Which country is underrated in your opinion? The latest figures show that around 4.5 per cent of fiction, poetry and drama published in the UK and Ireland is translated – not a great deal more than 3 per cent, but slightly better. I think people are often intimidated by translated books because they fear they won’t know enough about the cultures and traditions they come from to understand them properly. One of the problems is that that 4.5 per cent is not spread evenly across the planet, so they are many countries that have little or no commercially available literature in English translation. Portuguese- and French-speaking African countries are particularly hard to find translations from and several of the less affluent South American nations also have very few books in English. From your list – Which book stands out if any? Which country are you dying to revisit via fiction? I’ve already revisited a lot of them and continue to do so as people are still coming to my blog and recommending books. The list on the site contains all the valid recommendations I’ve had to date and I expect I’ll be working my way through them for years to come. Wow, Ann that is an impressive list – and that’s only 10! We also love reading books from writers of different countries and also those set in various countries around the world as you really are travelling in a sense if not only from your armchair. When you travel there for real, it’s a different kind of excitment and we love both! We agree that if you don’t read translated fiction you are definately missing out. Translators enable us to read so much more that otherwise we wouldn’t have access to. Well, unless you learn a language of course and you can do that with reading books! A great linguistic guide as well as a travel one. One last question if we may – A dinner party with 5 writers of any nationality living or dead, who would you choose? The First Monday Gang form a band….